Telephone mystery shoppers call businesses on the phone. The shoppers then evaluate the businesses based on criteria provided by a telephone mystery shopping company. These type of mystery shopping jobs are ideal for someone who has to stay at home to care for their children or because they do not have transportation. Telephone mystery shoppers are also able to work in their pajamas! Telephone Mystery Shoppers do what? There are many types of telephone mystery shopping jobs. Although shops are different with each company and they have different guidelines, they all have one thing in common: you have to call on the telephone and speak with someone. Some types of telephone mystery shops may include having the telephone call recorded. 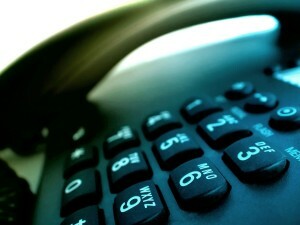 Telephone mystery shoppers could be calling nursing homes to inquire about services, or to check their policies. They may be calling to check on their empathy or how the made the telephone shopper feel. Another type of telephone mystery shopper may specialize in calling Apartments. These types of mystery shops require you to have a backstory prepared so that you can answer questions about your income, why you are moving, where you heard about the apartment, and your family status. It is very important for these types of shops to be quick with your answers. The apartment staff knows that they are mystery shopped and know what to listen for to spot you when you call. 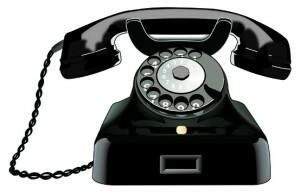 A telephone mystery shopping report can be as varied as the types of calls that you make. Some reports will focus on yes or no answers, other will want you to quote verbatim what the telephone representative said. Some will have you asked a specific question and then ask you to report how the phone representative answered. Telephone mystery shoppers need to like talking on the phone. They need to prepare before the call, and think fast on their feet in case things don’t follow the script. If you are interesting in becoming a telephone mystery shopper, click here for a list of telephone mystery shopping companies.